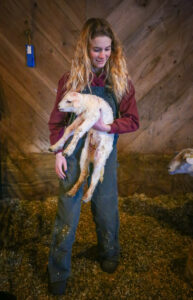 Pearl Benjamin loves farming, and elegantly describes a mother/baby connection. So began a short biography we asked Benjamin to send us, after she won the seventh annual Telling Room statewide writing contest for kids. Student writers were in middle and high school. They wrote on the theme of “voices,” both writing with voice and telling stories of those whose voices aren’t usually heard. The judges – five local writers and editors – considered fiction, nonfiction and poems. Benjamin’s story was among nearly 200 submissions. WHAT: Big Night, an annual community event that showcases writing by students of The Telling Room, and includes a book launch celebration and staged performances of their work. Telling Room contest winner Pearl Benjamin will be among the readers. HOW MUCH: Free and open to the public. MORE: Find more student writing, from youngsters age 6 to 18, online at tellingroom.org/stories. 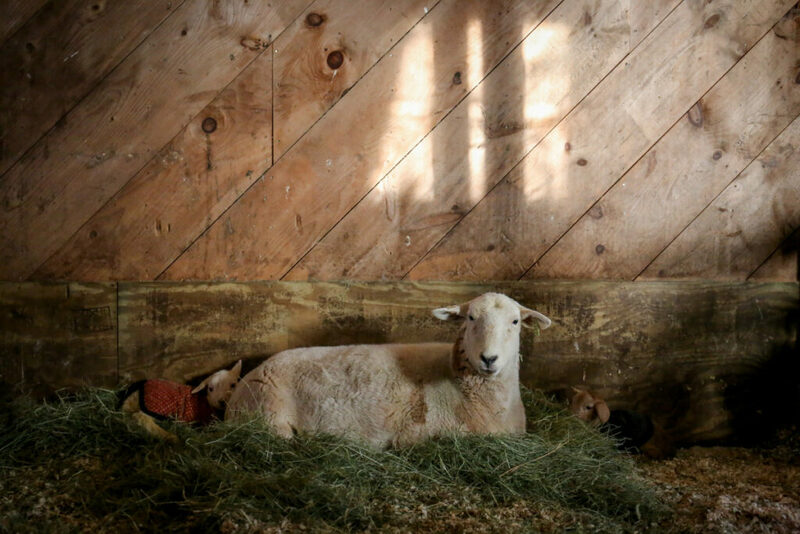 We were charmed by the bio, and by her essay itself, which conveys her love of farming in general and of sheep in particular. We can certainly understand why the Portland-based Telling Room, a nonprofit that seeks to “empower youth” through writing, selected it. As winner, Benjamin gets $200 and lots of readers – something all writers, whatever their age, desire. We are publishing her essay here. It’ll also appear in the Telling Room’s annual anthology of student writing, to be published in May. And Benjamin is scheduled to read her work at the Telling Room’s Big Night in Westbrook in May. Last year’s lambing was a tough one for Elvez. She had twins then, too: a big cinnamon baby with thick bones and perky ears, and a white ewe with tragically twisted front legs. As much as the frail little ewe struggled and flopped about, she couldn’t stand on them. Elvez tried to stay with the lamb, nickered to her in her careful mothering voice, attempted to guide her to her feet, but she could not mend misshapen legs. Elvez slowly turned away from the doomed baby and focused on caring for the healthy one. After a tearful visit to the vet, my mother and I lost hope as well. Accepting that the crippled ewe wasn’t meant for the world, we put her down the next day. Suddenly an idea bursts into my mind. 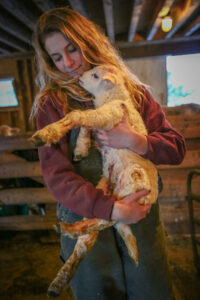 I hurry inside the lambing pen and hoist the little ram into my arms. I look toward Elvez. She doesn’t seem to care. I tap Elvez’s back and try to get her attention.